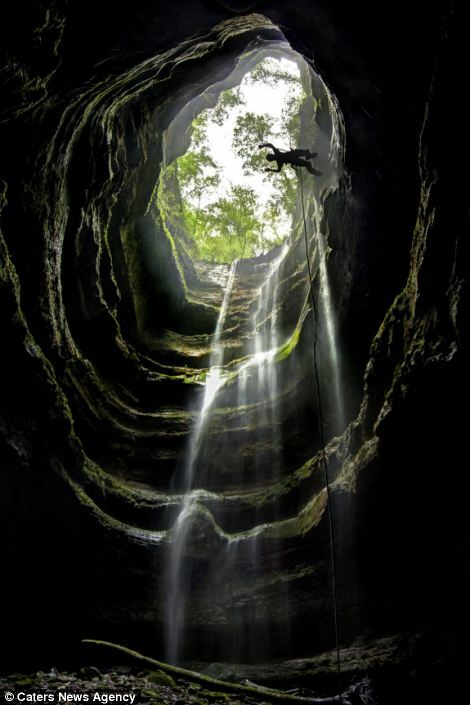 The folks at the UK’s Daily Mail newspaper recently featured a piece on Neversink Cave in Jackson County, Alabama. The article, complete with beautiful photos, follows cavers Aaron Davis and Brian Stoltz while they descend the 50 meter (162 foot) open air pit. Owned by the Southeastern Cave Conservancy since 1995, the purchase was paid for by a major fundraising program called ‘Buy a Piece of the Pit’.